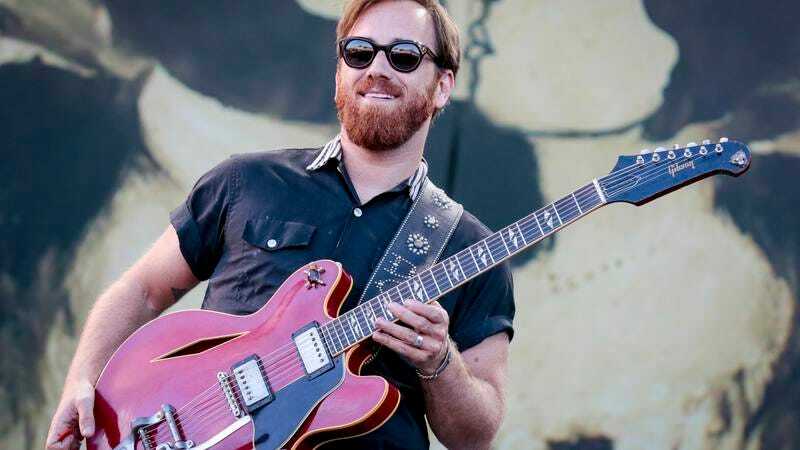 The Black Keys’ Dan Auerbach is prepping for a new solo album right now, with Waiting For A Song due out on June 2. To celebrate the new album—Auerbach’s first solo project since 2009—he hopped on The Late Show With Stephen Colbert last night to trot out a few of its singles. Auerbach previously released music videos for both songs—the almost aggressively cheerful folk-pop ditty “Shine On Me,” and the more somber “King Of A One Horse Town.” But while the video versions are more elaborately produced—especially “One Horse Town”—the stripped-down versions he played on Colbert’s stage have welcome charms of their own.